Although cool and young, São Paulo is made up of several traditional places that are also part of the memory of many people who live or visit the city. Largo do Arouche, Mercado Municipal de São Paulo, Parque da Luz, Centro Cultural Banco do Brasil, among others, are emblematic places, which show good memories and rescue the memories of those who know the capital deeply. Largo do Arouche is one of them. A place of tranquility in the Center, the site gathers various establishments dating back to the year of 1940. The bistro La Casserole, quoted by Criolo on one of his songs, the O Gato que ri restaurant and Bar Léo are part of the region’s traditional attractions, in addition to the Flower Market. Another region full of old buildings, and that keeps a good part of our history, is Bixiga. Its canteens, bars, churches and houses make up a bucolic and diverse scenery. Strongly marked by bohemian and religion, the neighborhood is full of festivals and traditional celebrations, such as the Achiropita. To those who enjoy good typical meals, São Paulo has several restaurants that are successes for quite some time. As is the case of Seu Oswaldo, a cafeteria that serves delicious hamburgers since 1966. Or Sujinho, inaugurated in the 1960s, that has a menu with steaks and other cuts of meat for the carnivores. And the Italian Di Cunto, which serves pasta made on the house since 1935. There is also Joakins, opened in 1965, which also focus on tasty snacks. The Mercado Municipal could not stay out of the list, with its famous bologna sandwich and other goodies. For the fans of such sandwich, there is also the traditional Casa da Mortadela, which works since 1977. Still concerning places to eat or buy food, the Center has the grocery shop Casa Godinho, opened in 1888 and relocated in 1924, whose forte is the cod from Norway. Or Empório Akkar, which since 1906 sells Arabian food and seasonings. For dessert, it is worth stopping by the ice cream store Alaska, that in 1910 already served one of the most delicious (and biggest) ice creams in town. For those who like a beer to aid with digestion, the tip is to go to Bar Brahma, that since 1948 ensures cold draft beer for those who frequent the area. And in this same region, we have one of the most famous corners of São Paulo, the the crossing of the streets Ipiranga and São João, immortalized in the song “Sampa” by Caetano Veloso. Throughout the avenues, it is possible to find several historical buildings, among them the Galeria Olido, an important cultural pole, and the Galeria do Rock, with its many shops related to different musical styles. Still in the Center, which in itself is a ride that refers to the past of the city, with its old buildings and many places that still work as they used to in the last century, we have the Theatro São Pedro, one of the main theaters in activity today, and which held its first play in 1917. Or a walk in the Parque da Luz, opened in 1825 and which still has many of its original features. And when it is time to leave, the Luz Station is right next to it, whose rails are responsible for the transportation of thousands of inhabitants since 1901. Another historic building that holds many memories from the past of São Paulo is the Museum of Immigration, which chronicles the arrival of many immigrants here. 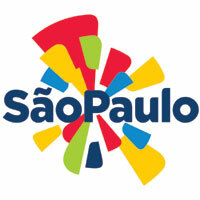 There is also Centro Cultural São Paulo, which gathers several leisure and entertainment options. In the Center, Centro Cultural Banco do Brasil is also a good choice, a Museum that respects the original architecture of its building. For the nostalgic of old football championships, a good option is the Pacaembu Stadium, opened in 1940 and that receives important matches to this day. Right next to it, we have the Museum of Football, which recounts the most striking moments of the sport. Canindé, the house of the Portuguesa team is famous for its traditional Festa Junina (June party), which has received fans and supporters for many years. There is also the Javari Street, the residence of Juventus. The traditional team welcomes the neighborhood with lots of food and tradition, whether on game days or in events held at the headquarters of the team. Moving to a greener side of the city, the traditional Zoo impresses adults and children since 1958, with its many animals – and even dinosaurs! And which São Paulo student never visited the Instituto Butantan? The site, which serves as center for research,is also a target for many biology teachers since ancient times. To end the tour, how about relaxing in a centennial park as the Trianon? Preserving its main unique features, the location is an oasis of Atlantic Forest in the middle of the Paulista Avenue. Another option is Parque da Independência, located on land where kings and emperors walked – and where Brazil was declared independent.